Greens Plus? 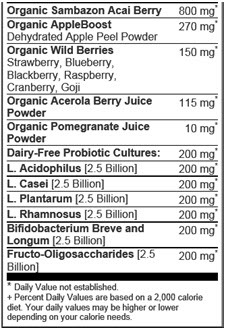 Organic Superfood Wild Berry is a certified organic blend of raw green foods, superfruits, sea vegetables, and probiotic cultures. 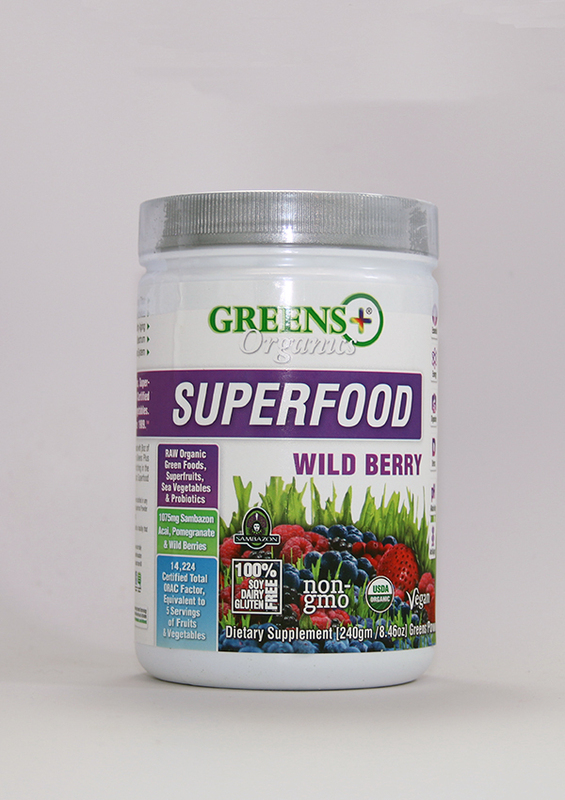 Greens Plus Organic Superfood Wild Berry is purely vegan, and always soy, gluten, and dairy-free. One serving delivers more vitamins, minerals, and antioxidants than 5 servings of fresh fruits and vegetables while supplying every color in the Dietary Food Spectrum. With a high-ORAC* superfruit blend that includes 800 mg of Sambazon Acai. *These statement has not been evaluated by the Food and Drug Administration.? This product is not intended to diagnose, treat, cure or prevent any disease. Simply mix 1 scoop of Organic Superfood Wild Berry with 8 oz of cold water or your favorite beverage.? Shake briskly in a blender bottle.? Sip and enjoy! Take Organic Superfood Wild Berry first thing in the morning as a perfect way to energize your day. Allergy information:? This product contains wheat and is manufactured in a facility that processes soy and dairy ingredients.